Most applications have settings that, when combined, can confound both novice and expert users. 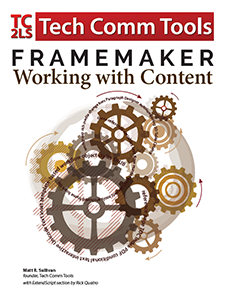 This post is a running tally of things to check if (or when) your FrameMaker experience goes awry. It’s one of my pieces of cornerstone content. 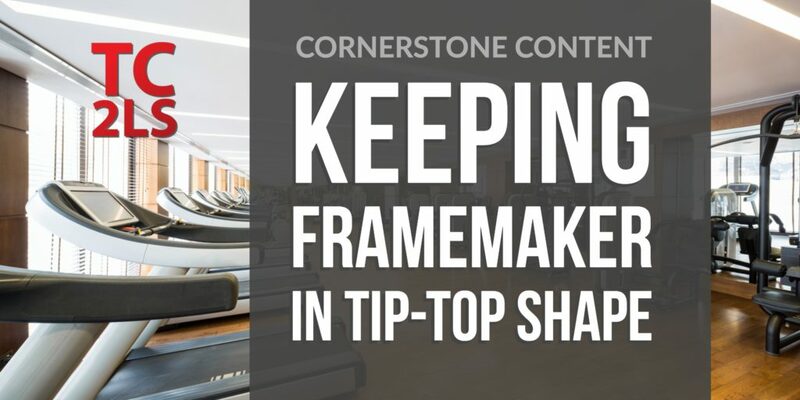 View the Cornerstone Content category to check out other key articles. If FrameMaker suddenly acts in new and mysterious ways, you may have shuffled, reorganized, or closed one of the pods that FrameMaker uses to display settings and information. If so, resetting your workspace may restore expected pod locations. If not, you may also have a corrupted preferences file. Follow the procedures below to see if either of these things will remedy your problem. 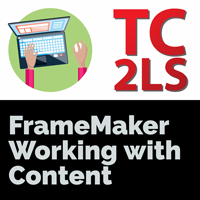 When moving quickly in FrameMaker, pods can often get stacked on top of each other, making it difficult to locate that one pod you really need. To put things back in their expected location, choose a workspace you know, and also choose the Reset Workspace option. Here’s a hot tip: This feature is especially helpful if you’ve saved one or more workspaces for your own work. 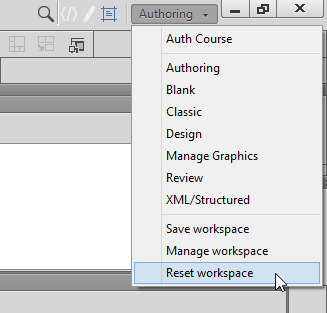 In my case, the Auth Course workspace is what I enable and reset whenever I’m teaching Structured FrameMaker Authoring. Other times, I switch to the Blank workspace for when I record FrameMaker screencasts or just want a decluttered screen. Changing the name of your preferences folder (which forces FrameMaker to write a new preferences folder) is an easy way to check for a corrupted preferences file. Follow the instructions below to locate the folder, and then change the name of the prefs folder to 14-old, or something similar to see if it resolves your interface issue. If the issue remains, it only takes a minute to delete the new folder, rename the old folder, and restart FrameMaker. You’ll be no worse for having done so. Ever since Windows 7, I’ve been annoyed at the location of preference and other files used by applications. C:\Users\USERNAME\AppData\Roaming, where USERNAME is the username you use to log into your PC. That’s great, but I still get annoyed at shuffling up and down directories whenever I need to access it. As a result I long ago discovered that if I added that Roaming directory to my Favorites in Windows Explorer, things were a bit easier. However, if you like memorization, or writing things down, there’s an even easier way. Just type (or paste) %appdata% or something more specific, like %appdata%\Adobe\FrameMaker\14 into the Explorer bar and you’ll jump straight to your needed location. Here’s a short video to show how it works. My thanks to Stefan Gentz, Adobe’s TCS Evangelist for posting this string in an Adobe forum.